The conference will take place at the Marmara Antalya Hotel, Şirinyalı Mh., Lara Cd No:136, 07160 Antalya, Turkey. Antalya is a city on the Mediterranean coast of southwestern Turkey. It is Turkey's biggest international sea resort, located on the Turkish Riviera. The area is shielded from the northerly winds by the Taurus Mountains. 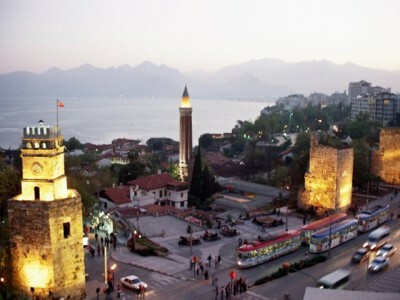 Antalya has a Mediterranean climate with hot and dry summers and mild and rainy winters. Around 300 days of the year are sunny, with over 3000 hours of sunlight per year. Kaleiçi, with its narrow cobbled streets of historic Ottoman era houses, is the old center of Antalya. With its hotels, bars, clubs, restaurants, and shopping, it has been restored to retain much of its historical character; its restoration has won the Golden Apple Tourism Prize. Cumhuriyet Square, the main square of the city, is the location for temporary open air exhibitions and performances. The city also features sites with traces of Lycian, Pamphylian, and Hellenistic, Roman, Byzantine, Seljuk and Ottoman architecture and cultures. Antalya has beaches including Konyaaltı, Lara and Karpuzkaldıran. For winter sports, Beydağları and Saklikent are both natural beauties of the city. There are a number of mosques, churches, madrasahs, masjids, hans (caravanserai) and hamams (Turkish bath) in the city. Kaleiçi, the harbor, which the city walls enclose, is the oldest part of the city. Kaleiçi features many historic houses with traditional Turkish and local Greek architecture. Antalya’s signature cuisine includes Piyaz (made with tahini, garlic, walnuts, and boiled beans), spicy hibeş with mixed cumin and tahini, şiş köfte, tandır kebap, domates civesi, şakşuka, and various cold Mediterranean dishes with olive oil. One local speciality is tirmis, boiled seeds of the lupin, eaten as a snack. "Grida" (also known as Lagos or Mediterrenean white grouper) is a fish common in local dishes.